I am a huge fan of Maggie O’Farrell’s writing and have enjoyed every one of her six previous novels. So I was very grateful to be offered a review copy by Karen from My Reading Corner who had managed to acquire two copies! It’s been three years since Maggie O’Farrell’s last book, Instructions for a Heatwave, and this new release has been eagerly awaited. 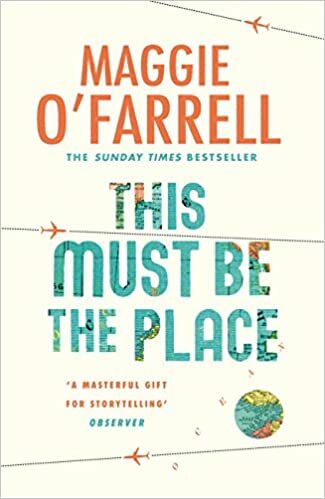 It is due to be published by Tinder Press on 17th May and you can order a copy here: This Must Be The Place I read recently that Maggie O’Farrell doesn’t read reviews of her work saying that she writes only for herself. I’m quite glad about this as I’m sure that many other bloggers will be much more eloquent than I will be in reviewing this excellent book! At the heart of This Must Be The Place is Daniel and his marriage to Claudette. Daniel is an American living in rural Ireland with his French wife Claudette. He has children from a previous marriage living in California who he rarely sees, his father who he can’t stand lives in Brooklyn and Daniel lives with the guilt of something which happened years ago when he was a student in England. Claudette is an ex-film star who walked out on her life of fame and is fiercely protective of her own and her family’s privacy. By chance, Daniel hears an interview on the radio which brings memories flooding back for him and he feels compelled to find to what really happened all those years ago. But this risks his marriage – can his relationship with Claudette survive? Maggie O’Farrell really pulls you into the story almost from the first sentences. “There is a man and the man is me.” You start off as an observer and before you know it you are right there with the characters. In this novel there are lots of characters all telling their part of the story, building up a picture of Daniel and Claudette’s life. The characters include Daniel’s children and parents, Claudette’s brother and his wife, his old college friends and we hear from them at various different times in their lives. The story flits back and forward in time and Maggie O’Farrell has seamlessly drawn together all the different characters and points in time. She effortlessly captures the minutiae of daily life and emotions and writes about feelings in a way that makes you identify with every single one of her characters, even if they have a relatively minor role. To me this book was about finding your place in the world. Daniel and Claudette live in many different places and always seem to be striving to find out who they really are and where they really belong. It’s a book about identity, who we really are under all the layers of protection we build around ourselves. Another outstanding piece of writing by Maggie O’Farrell proving once again that she is a true mistress of storytelling. 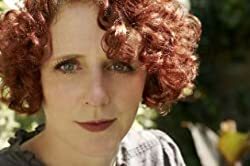 Maggie O’Farrell is the author of six novels, After You’d Gone, My Lover’s Lover, The Distance Between Us, which won a Somerset Maugham Award, The Vanishing Act of Esme Lennox, The Hand That First Held Mine and Instructions for a Heatwave. Born in Northern Ireland, Maggie grew up in Wales and Scotland. She lives in London with her husband and two children.